The ODMP would like to recognize the members of Blue Knights NC Chapter XIII for their support! 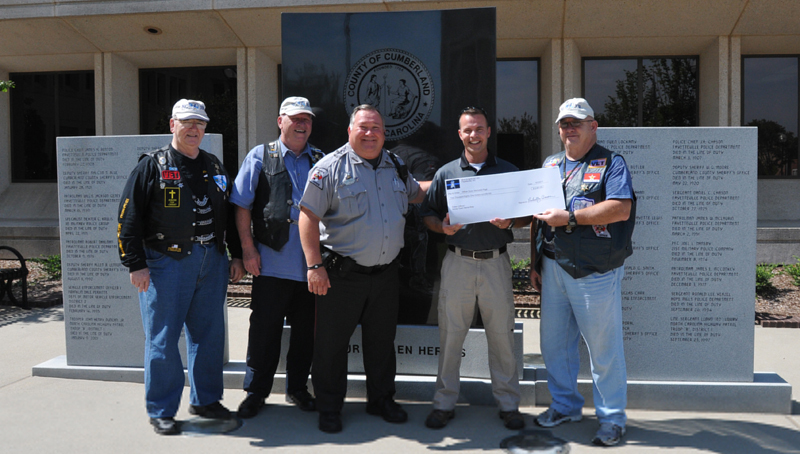 Members of NC Chapter XIII recently held a charity motorcycle ride that doubled as a fundraiser for the Officer Down Memorial Page and the Wounded Warriors Project, raising more than $4,000 for the two organizations. 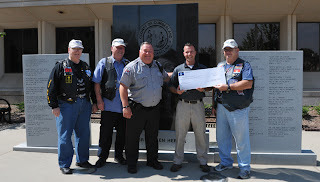 Lt. Al Ferguson, of the High Point (NC) Police Department, represented the ODMP in accepting the check in front of the Cumberland County Fallen Officers Memorial (the ODMP helped with researching the cases of a few of the deputies and officers now honored on the memorial). If your organization would like to hold a similar fundraiser, please contact ODMP's Executive Director Chris Cosgriff.